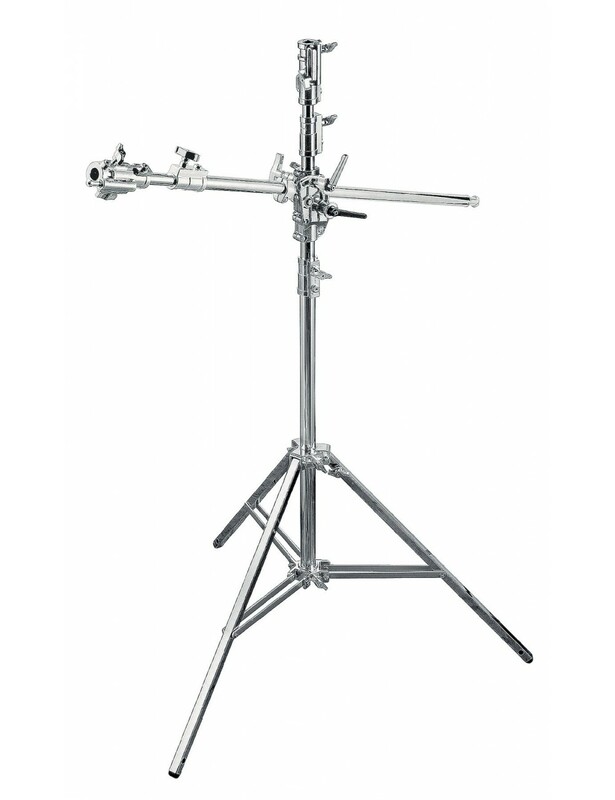 The Avenger Boom Stand 50 is a chrome steel stand with 4 sections and 3 risers. 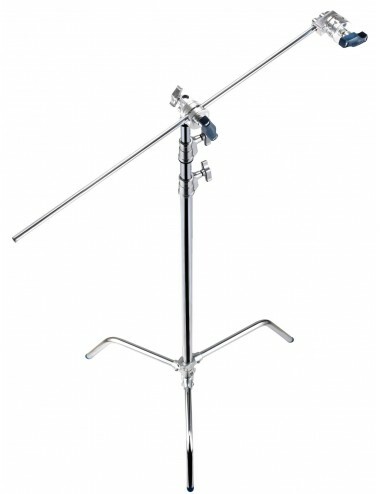 It can support a maximum payload of 30kg and can reach a maximum height of 5m. 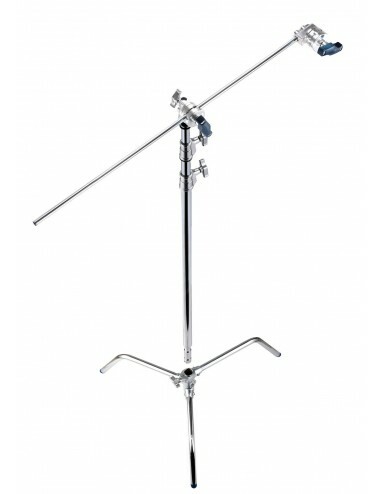 It also features 1 levelling leg for use on uneven surfaces. It is compatible with A9000N braked wheels which can be bought separately.